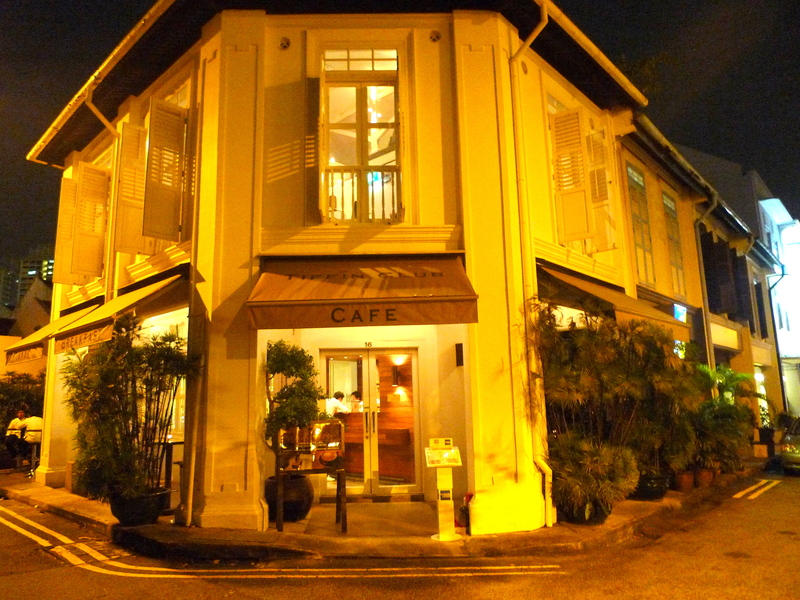 The Outram area is well known for its boutique hotels and up class restaurants. With the likes of Ember, Absinthe and Oso just around the corner, it’s no surprise few have heard of Tiffin Club, a small quaint 2 storey eatery that serves Western nosh with a Sri Lankan influence. From what I know, the menu has been updated recently with a slight mark-up in prices. Desserts such as the Flourless Chocolate Cake (if memory serves me) which I had been eyeing ever since I stopped by their restaurant website some 1 year ago have now been removed, much to my disappointment. Making reservations for 10 pax for a Friday night, I was apprehensive that there would be sufficient space to fit all of us together. However guess what? The 10 of us were the only customers for the entire night so it seemed like we had booked the entire restaurant (dining is mainly on the 2nd level) to ourselves for a private party! Tiffin Club has this cool wine dispenser which allows wine bottles to be opened but kept drinkable for an extended period by introduction of an inert gas that doesn’t react with the wine. Unlike conventional restaurants that sells wine by the glass or bottle, Tiffin Club allow you to have a choice of taster (50ml), half glass (100ml) and full glass (200ml) portions, which are priced with respect to volume. Tasters typically cost around $3+, depending on the type of wine chosen. 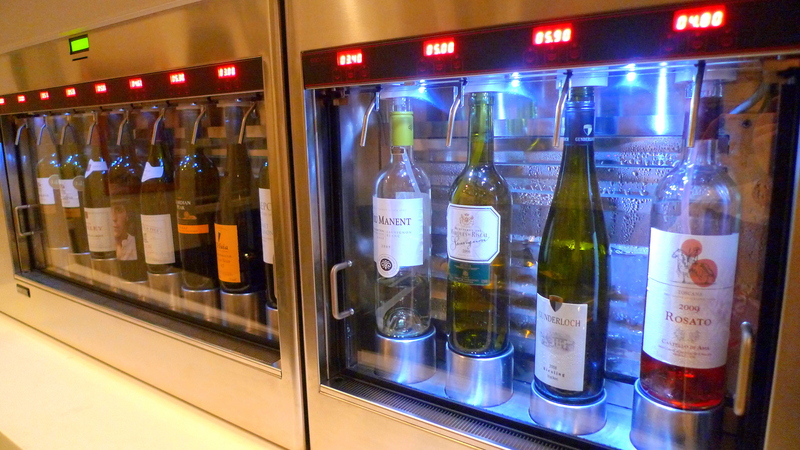 I think the dispenser (also known as an enomatic machine) is a really novel idea and allows an individual to sample a variety of wines without busting the wallet. Being budget conscious students, we dived straight for the mains. Of course, not before our complimentary home-made bread. 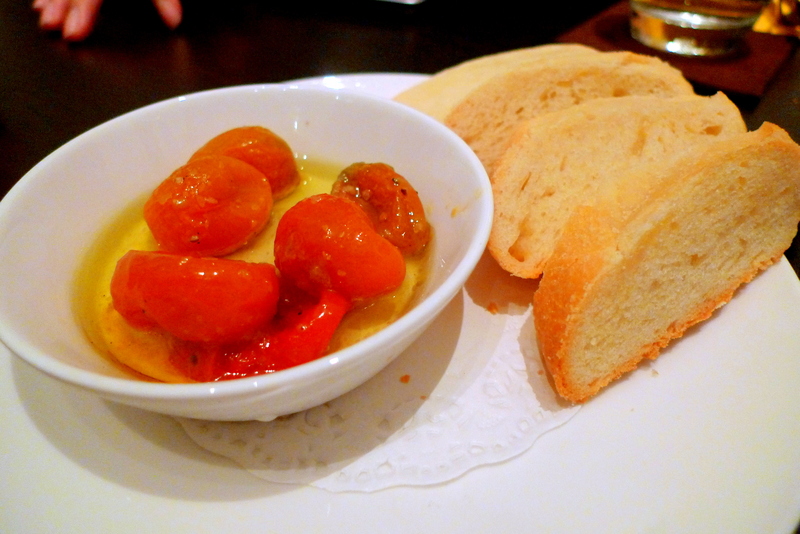 I loved the tomatoes, it was bursting with flavour! 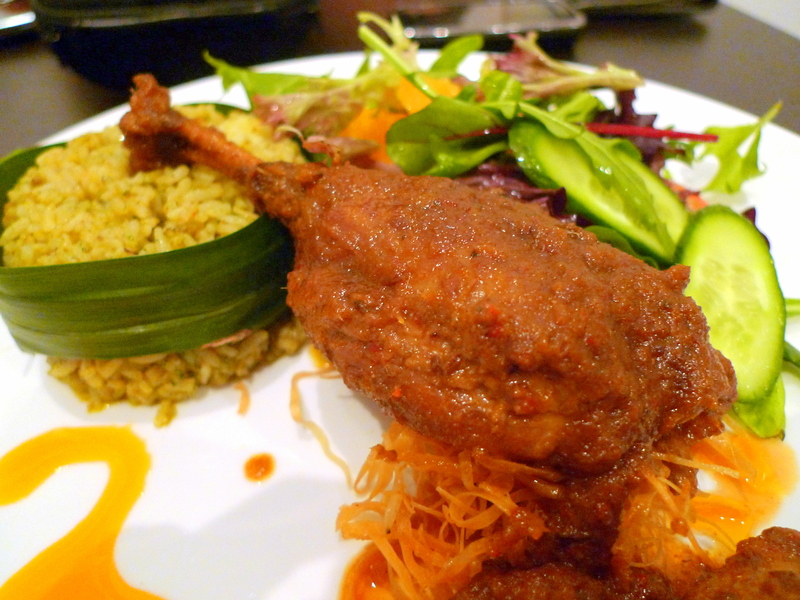 MZ had the Duck Rendang($29++), “A fork tender Rendang Duck Confit served with Nasi Ulam and Petite Salad tossed in bright Orange Vinegrette”. I had mistaken it for the Lamb Shank(too be shown later below) which I had already tried so I missed out on sampling this! MZ did say it was pretty tasty though and it definitely looks that way. Adwyn had the Pork Two Way($28++), “Orange-Tamarind glazed Barbecued Belly of Pork with Butternut Squash and a Roulade of Pork Loin with Spinach, finished with Chinese Scallop Sauce”. I sampled a bit of the Barbecued Belly Pork and found it was pretty ordinary despite the seemingly interesting description. On the other hand, Adwyn loved it, maybe that why he kept the Roulade of Pork Loin for himself, leaving me eyeing it surreptitiously from afar. For myself, I had an order of the Beef Ribs($29++), “Boneless Beef Short Ribs slow braised until tender in Soy, Red Wine and SzeChuan Peppercorns served with Potato Puree, Carrots & Grilled Shallots”. 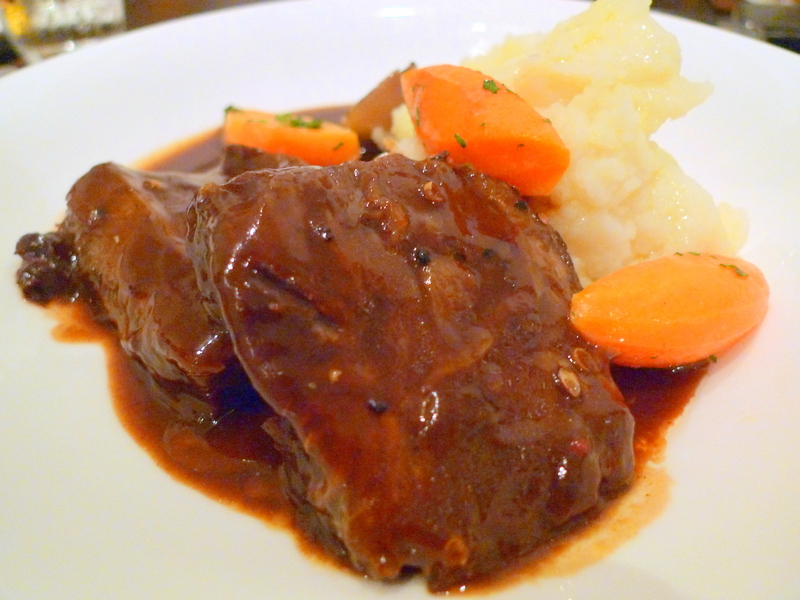 The ribs were pretty decent with a discernible red wine reduction, but I found it slightly on the salty side and the mash came across as bland and I wouldn’t have finished it without the Soy & Red Wine Sauce to add some flavour. 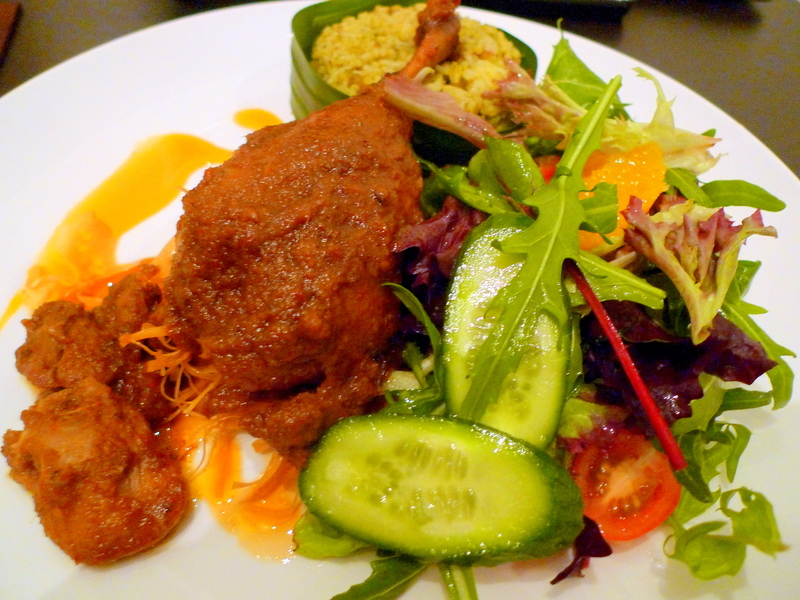 As with the case of mistaken identity as mentioned earlier, the Sumatran Lamb Shank($29++), “Slow Braised Sumatran Gulai Lamb Shank served with Nasi Ulam and Tangy Archar Salad”, can be told apart from the Duck Rendang by presence of the Archar Salad. 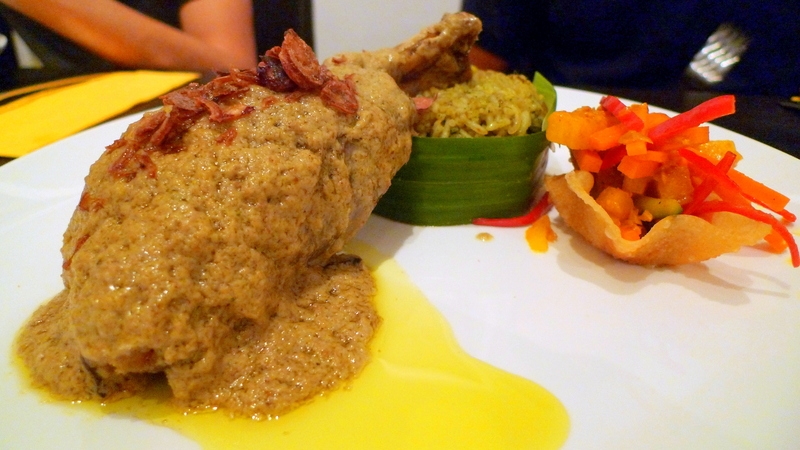 The lamb shank was reasonably tender but after the countless lamb shanks with red wine sauce or brown sauce which are more commonplace, the use of Malay spices to make the Gulai(something like curry) was rather foreign to me. On the other hand, the Nasi Ulam possessed a very Mediterranean zing but it was dry and not executed well to me. Give me a $5 Biryani anyday! 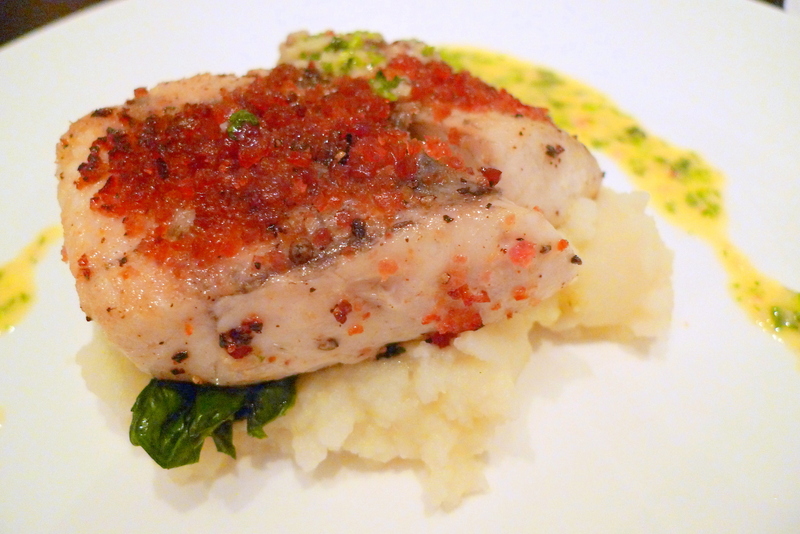 There was a general consensus for favourite main of the night, the Sea Bass($27++), “Lap Cheong Crusted Sea Bass Fillet on White Bean Mash with Coriander Butter Sauce, Spinach and Honey Pea. Choice of Steamed or Pan-seared”. I only took a small nibble so i guess I didn’t manage to get the full blown impact but the rest who tried it were singing nothing but praises. One of the cheaper mains available, the Roasted Pepper Ravioli($20++), “Ravioli stuffed with Sweet Red Peppers and Mild Cheese Tossed with Roasted Garlic Pesto”, was undoubtedly my favourite main. Though some might cringe at the fact that they are paying over 20 bucks for 5 pieces of Chinese Wanton lookalikes, I assure you it’s totally different. I haven’t had many a Ravioli but if all raviolis tasted like this, I’m definitely a Ravioli fan in the making. 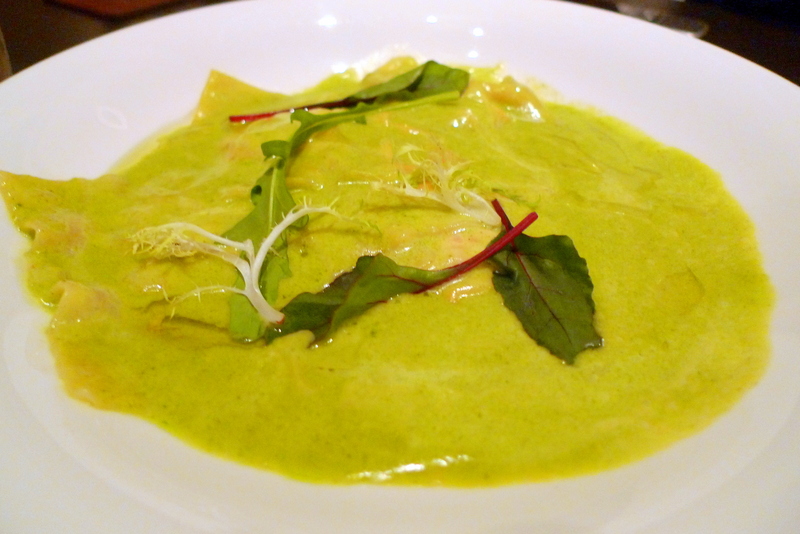 The creamy pesto sauce really complements the cheesy ravioli well. 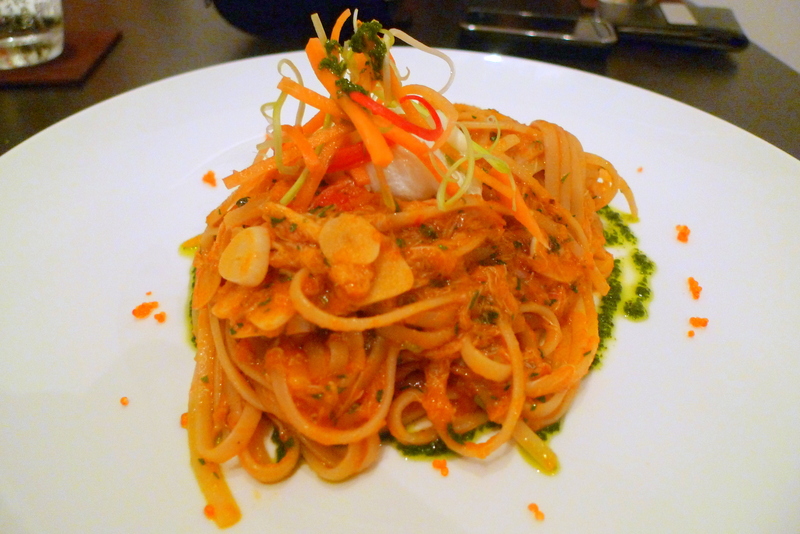 Last but not least, who can ever forget the Chili Crab Linguine($22++), “Linguine tossed in a spicy Singapore Chili Crab Ragu with White Wine, topped with a Poached Quail Egg & Tobiko Roe”. It’s a minor tweak from the ubiquitous Spicy Crab Linguine but I was pretty surprised how the pasta was accentuated with the familiarity flavour of the signature local Chili Crab. I liked it! 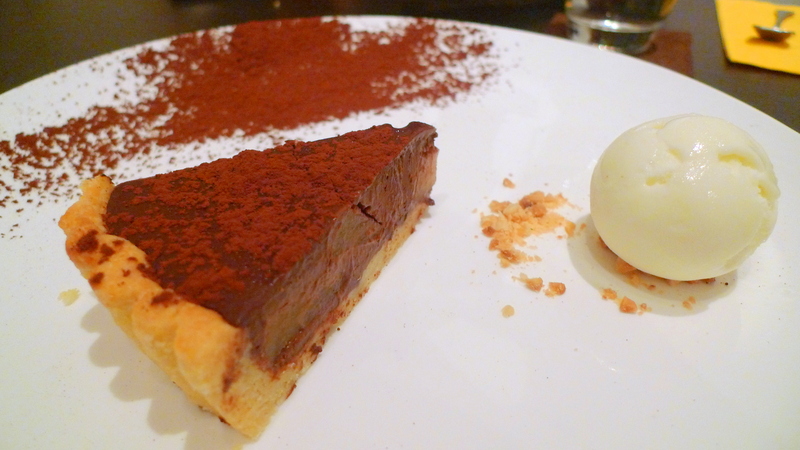 Tiffin’s Club signature Dessert is the Dark Chocolate & Pear Tart with Vanilla Ice Cream($9++). I shall sum this up with 2 words – Damn Shiok! 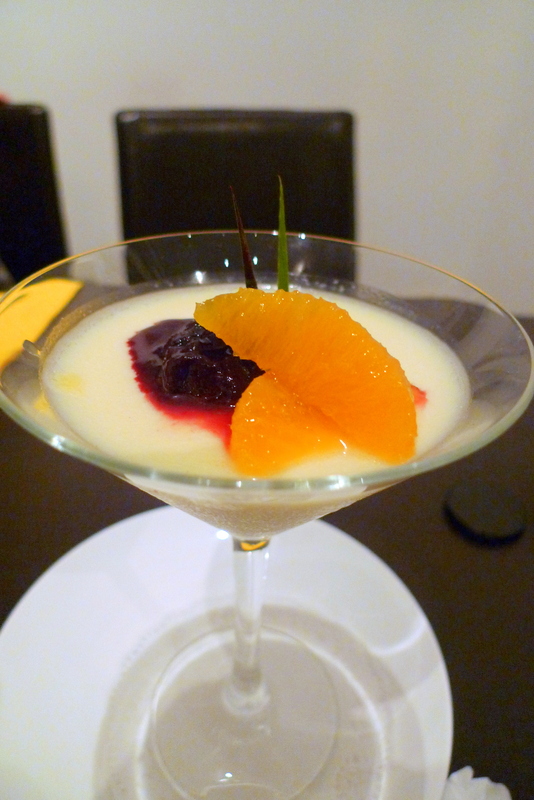 Another highly raved about Dessert would be the Lemongrass Panna Cotta with Blackberry Compote($8++) though some might not be used to the infusion of lemongrass into this sweet Italian pudding. For me, I found it an improvement from the same old boring version. I didn’t quite fancy the sourish draping of Berry Compote though. 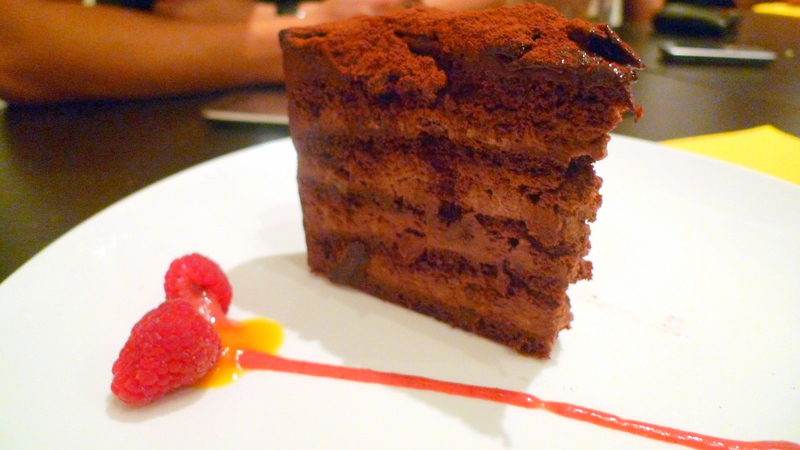 After the insanely palatable Dark Choc Pear Tart, the Macadamia Chocolate Truffle Cake($10++) just didn’t pass muster. The chocolate was weak and the crushed macadamia nuts went down my throat like gravel which I found irksome. 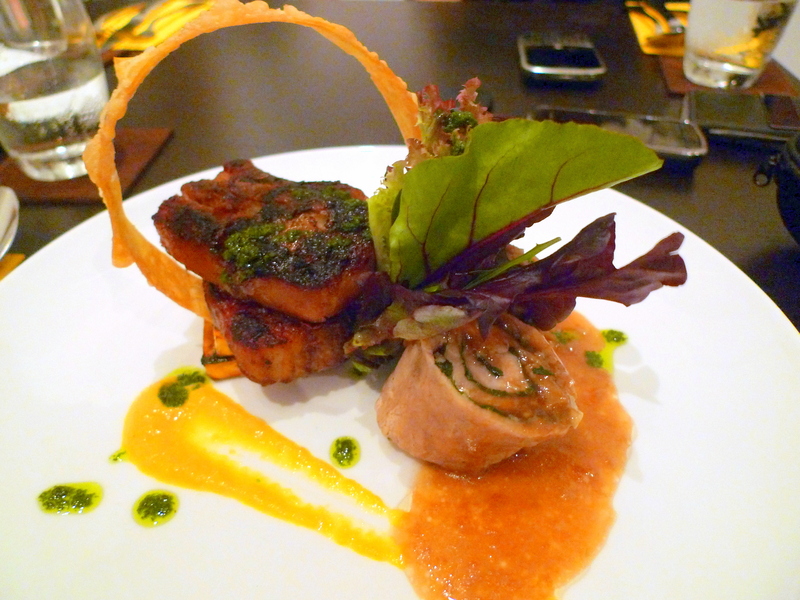 Interesting fusion foods, skillful plating and private & classy ambience summarizes our dinner experience at Tiffin Club. 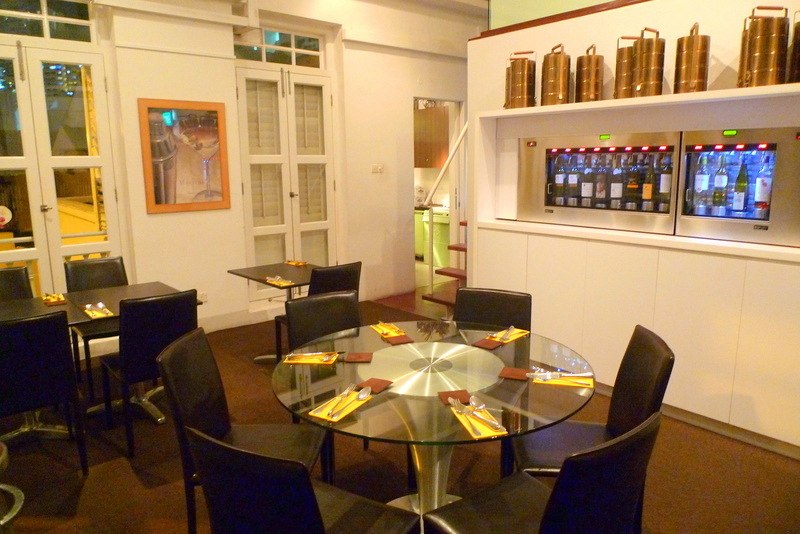 Categories : All YumYums in my TumTum, Cuisine Type YumYums, Fusion, Location of YumYum, Tanjong Pagar / Outram, Yummy!